In fact, we’re the only place you can get it in Ios! And we seriously can’t get enough of the stuff. Why? Because it tastes so freakin good, but not only that, it’s bursting with nutrients and antioxidants that you definitely need after a few nights out in Ios. 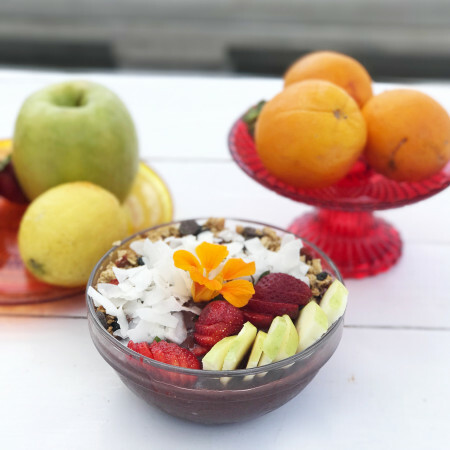 We know a lot of people have never heard of Acai (pronounced ah-sigh-ee) so we made a list of the top five reasons why we serve this delicious berry. If you’ve been in Ios long enough, chances are you’ve either had, or know someone who has had, what we call ‘the Ios cough’. We suspect it’s from a few too many late nights, but even if you’re not going out, it’s always good to give your immune a helping hand. The good news is that the Acai berry is an immune booster. In fact, one study found that the compounds in Acai reduced the occurrence of malfunctioning cells by up to 86%. Since the Acai berry is loaded with phytochemicals, they can be useful in slowing the ageing process and fighting free radicals in the body. While most berries have antioxidants, Acai stands out as one berry has ten times as many antioxidants as grapes, and twice as many as blueberries. 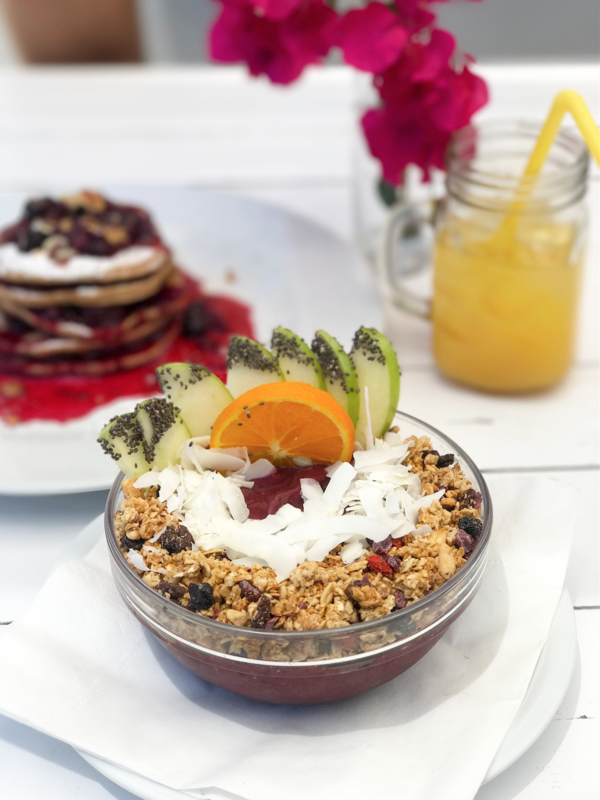 Acai is rich in anthocyanins, polyphenols, vitamins A, C and E, so you know you’re doing your body a favour when you snack on an Acai bowl or smoothie. A day out in the sun and ocean, followed by a big night up in Chora, can leave you feeling drained, tired and dehydrated. Fortunately Acai is rich in electrolytes as it’s loaded with magnesium, potassium, phosphorus and manganese. Say goodbye to muscle cramps, dehydration and fatigue! 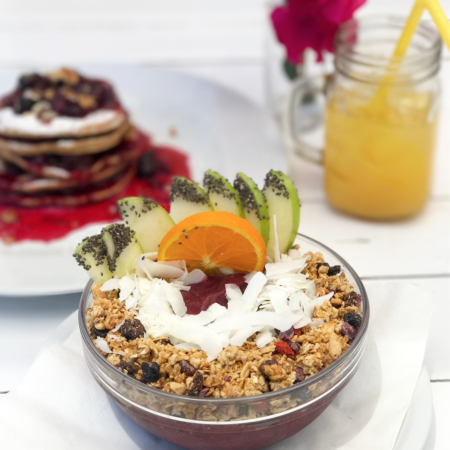 If you weren’t already sold, it helps to know that Acai is packed with trace minerals that are essential to the body such as iron, calcium, copper and zinc. 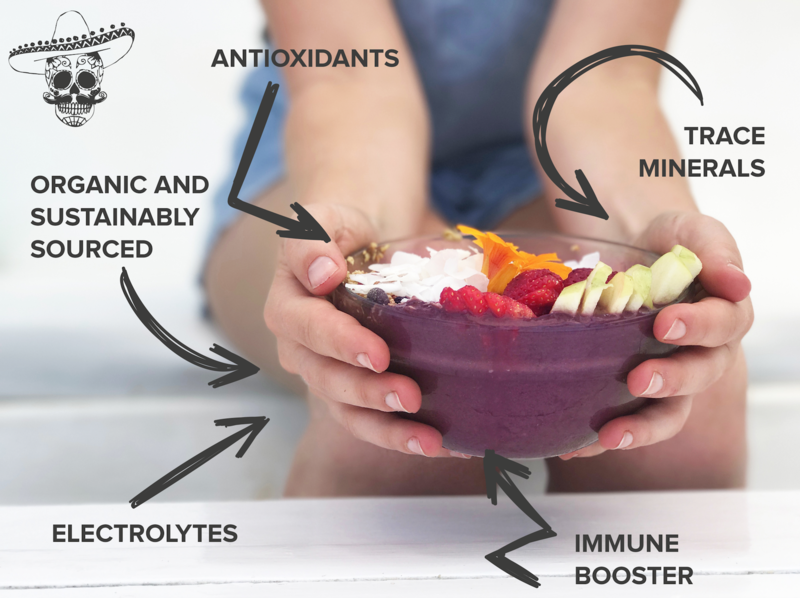 Not only is it full of trace minerals, the Acai berry has the right molecular structure to allow your body to absorb all the goodness. 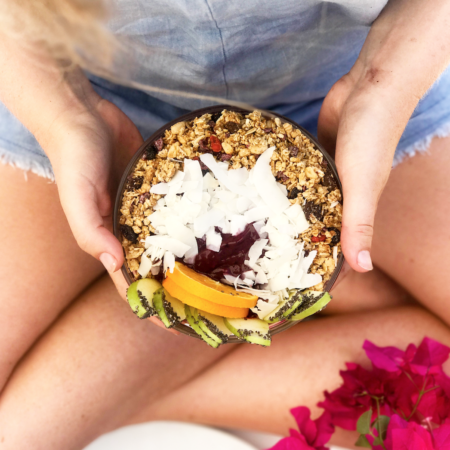 We are proud to offer organic and sustainably sourced Acai. We import our Acai from Amazonia, who work with the indigenous people in Brazil and South America to ensure that the Acai you’re enjoying is Fair Trade and sustainable. So there you have it folks, now you know why we’re always raving about Acai. We can’t wait for you to swing past and grab a bowl of this delicious, plant based goodness.